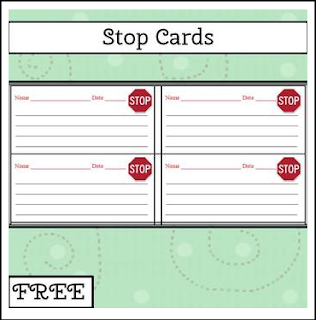 Free Stop cards are used as part of a behavior management system. Students can write down what they should have been doing. This gives you a quick and easy record of how often you have spoken to a student. •Click the green star next to my store logo to follow me on TPT.